Mikael Agricola is recognized as the father of literary Finnish. He was a proponent of the Reformation in Sweden which included the territory of present-day Finland. Liturgy in the language of the people was one of the main principles of the Reformation, so Agricola began to translate liturgical books into Finnish. Agricola made the first Finnish-language translation of the New Testament and translated three smaller liturgical books. He also wrote the first book to be published in the Finnish language, Abckiria. It was a primer for reading and a catechism. Agricola is credited with the creation of the first comprehensive writing system for Finnish. For a long time, Finnish was used almost exclusively in religious contexts. The most important contribution to the revival and modernization of the language was made by Elias Lönnrot who compiled the Finland's national epic Kalevala. The Day of the Finnish Language honors both of them. 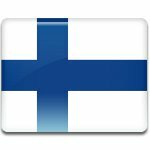 It is not an official flag day in Finland, but it has become customary to fly the flag of Finland on the occasion.